It’s strange to think of the PC as a second homecoming for the Call of Duty series—after all, its humble beginnings on our favorite gaming platform over 14 years ago delivered a solo and multiplayer experience encapsulating the dominance of first-person shooters on the PC. 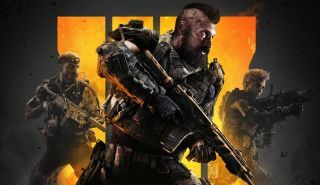 Its legacy endures to this day among the pantheon of FPS titans, and its presence on the PC is primed for a significant boost when Treyarch’s Call of Duty: Black Ops 4 launches this October 12. For the biggest reason, look no further than Treyarch and partner team Beenox’s dedication to another cornerstone of PC gaming: customizability. This isn’t the first Call of Duty to offer a wealth of options for its PC audience. Sledgehammer’s Call of Duty: WWII of last year earned acclaim for its snappy multiplayer and slew of graphics preferences accounting for a wide range of rigs and hardware configurations. You’ll find a similar attention to detail in Black Ops 4’s graphics settings, bookended by Beenox’s familiarity with GPU and monitor scaling for high-end gaming rigs. You can fine-tune your visuals to crank flourishes such as ambient occlusion or subsurface scattering, or you can opt for steadier framerates with minimal dips in quality for a more competitive edge. 4K, HDR, multi-monitor, and other powerful PC preferences are also supported, including the ability to adjust the HUD on ultra-wide monitors, set a custom framerate (or disable limits completely), and adjust FOV for both regular view and when zoomed in. Beenox’s efforts show best in the extensivity of keybind and control adjustments borne of a deep understanding of the unparalleled responsiveness of the mouse and keyboard. Every command is remappable to a keypress or mouse button of your choosing, but in a step acknowledging the roots of some of its members as former pro PC players, Beenox’s team has also included actuation preferences for the majority of actions you need to press a key for. In essence, you can adjust whether events such as throwing a grenade, picking up an item, or healing yourself will occur on either a key press or a key release, giving you a deep degree of granularity in fine-tuning your mappings to respond in a highly personalized rhythm. Such personalisation will likely provide the biggest returns in Blackout, Black Ops 4’s highly anticipated battle royale mode. The ability to set your keys to instantly pick up items will greatly speed up the looting phase of a round, getting you geared up and ready for a fight the fastest out of any platform. Similarly, the integration of the Battle.net client—a first for any Call of Duty game—simplifies adding or joining friends into a queue or a match in progress. The launcher’s embedded chat functionality will also come useful in grabbing a friend’s attention if he or she is playing a different Activision game, so feel free to ping your buddy tinkering around in Destiny 2 if you need someone for duos. Perhaps the most important aspect of Beenox’s dedication to the PC’s strengths is its approach to balance. Both Treyarch and Beenox understand how the inherent accuracy of the mouse and keyboard will affect weapon balance for both Black Ops 4’s multiplayer modes and Blackout, so Beenox will take steps to adjusting and tweaking numbers independent of contrasting results from the console version. That in itself, coupled with a respectful eye on control and graphical fidelity, is an exemplary sign that Call of Duty: Black Ops 4 will deserve its spot as one of the top shooter releases for 2018 on the PC.